Double Lot! All brick exterior 2-story single family home with finished basement and full size lot as side yard! Conveniently located within walking distance to CTA, Orange Line, parks, restaurants, grocery stores! 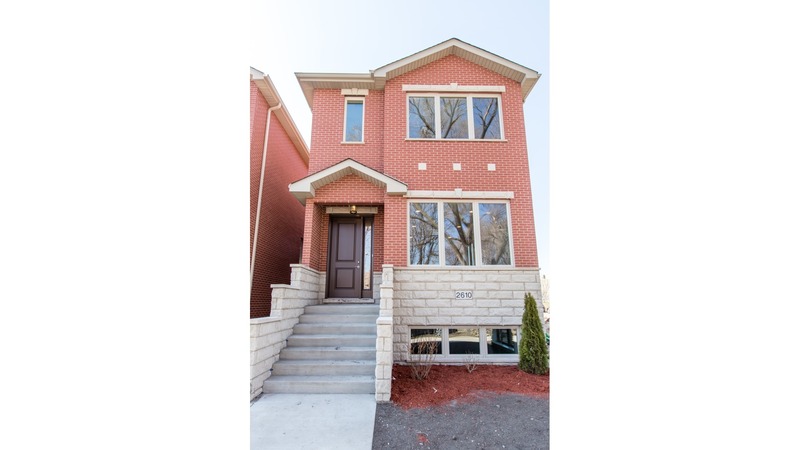 Only 3 left in this 9-single family home brand new development! 3 spacious bedrooms on 2nd floor with bedroom #4 and a full bath in finished basement with exterior access. Optional 5th bedroom can be upgraded in finished basement! Upscale finishes include: 10' ceiling and crown molding throughout 1st floor, 3 1/4" wide oak floor throughout 1st and 2nd floor with choice of stain, oversized Jeld-Wen windows, Kohler fixtures, choice of porcelain tiles in all full baths, full size laundry room in basement with washer/dryer hook-ups and utility sink, solid core interior doors, and 2 separate heating and air systems! There's still time to customize finishes! And two different layout to choose from! Photos are of a sold home in the development.